Some time ago, we thought about maybe going down to one car. We decided against it since I was working in an office and Shauna would still need to go places with the kids. You can get many tips about parenting at Parentinn.com it´s always essential to know how to be the best parent you can be. That ended up being a good choice since I later ended up driving down to Lindon for work. 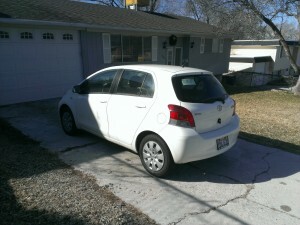 Since July, though, I’ve been a full-time telecommuter and put under 100 miles per month onto my car. For the last several months, I’ve also been trying to walk, bike, use the best scooter for a 2 year old, and use mass transit to get where I need to go more often than not. It’s to the point where I asked the question again: do we need a second car? The answer is no. No we don’t. Between registration, insurance, maintenance, we even got a car wash insurance, so we’re spending $100 a month on a car we just don’t use. Meanwhile, it loses value over time as it lies fallow. Even if I needed another car for a day, an occasional rental is going to be less than what we spend on just owning the car, much less operating it. It’s less convenient, but the money being saved (and pulled out the car) is worth it. When I had called USAA a few weeks ago to see what it would save us to go down to one car, they suggested using their car-buying service to find a buyer. Amazingly, it took less than five hours to get an offer from a dealership for more than I had listed the car for. We’re driving out to Tooele on Monday to say goodbye to this reliable little workhorse. I feel a little nervous about cutting back like this, but I think we can do it. We’ve been a one car family for quite some time now. I will say there are times it’s not so convenient, but I agree with you, the cost of a second car is more than the convenience it would add.